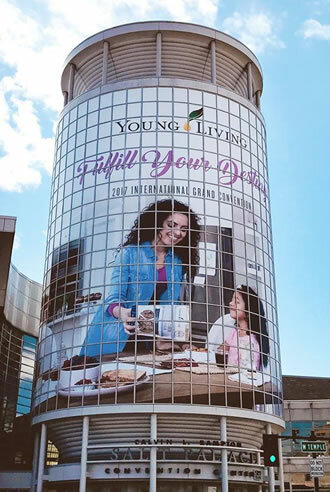 It’s Young Living Convention time. I am usually attending but this year I had to miss because my husband, Mark, recently underwent major surgery and still needs care. I am keeping up on Twitter, Instagram and Facebook. Every year a bunch of new products are released. 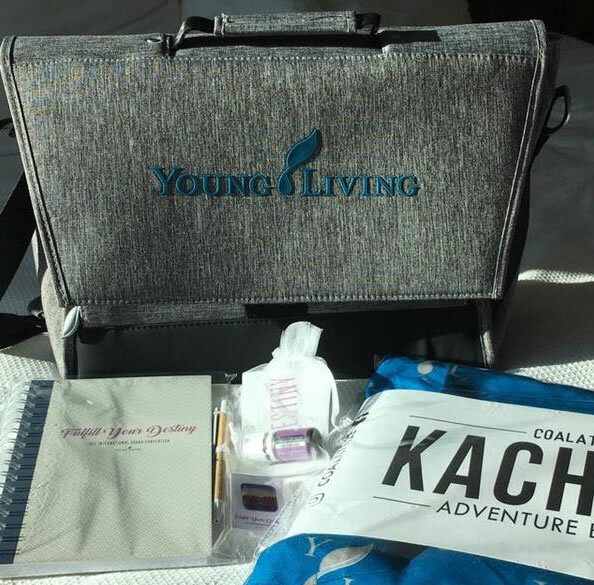 Here are the products released for Young Living Convention 2017. 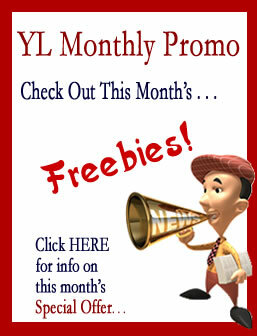 There are 58 new items this year added to Young Living’s already awesome product line. The new products will be available to purchase on Monday, June 19, 2017. Attendees received a bottle of the convention blend My Destiny. This year I am really wishing I was there to get that bag. 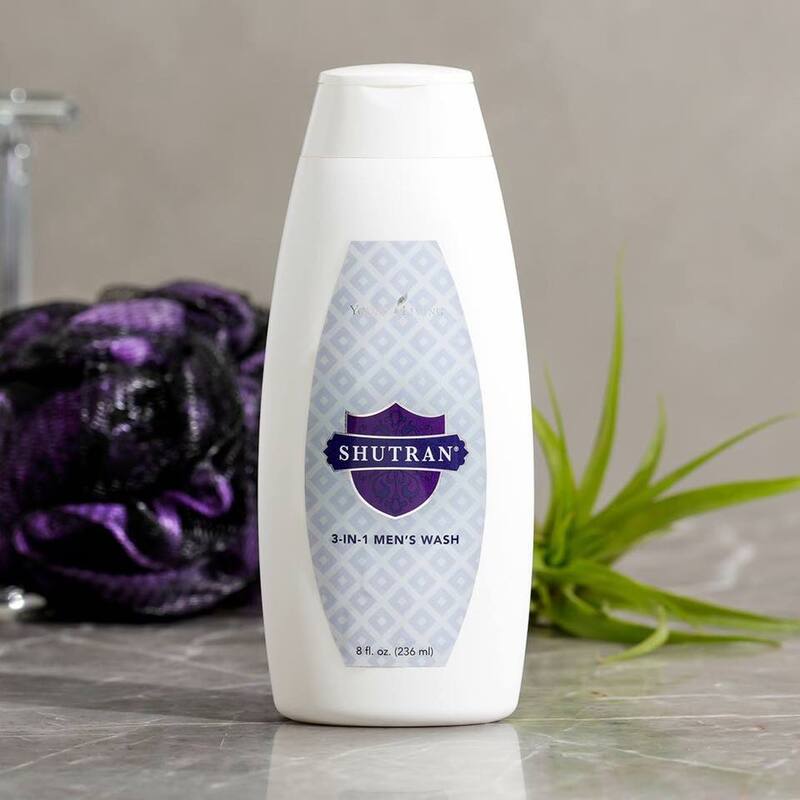 This blend combines Deep Relief, PanAway, RC, Raven, Live Your Passion, and Lavender for an invigorating, crisp, minty and inspiring aroma that motivates you to set and reach your goals. Apply topically for a soothing and uplifting experience after physical or mentally challenging activities. 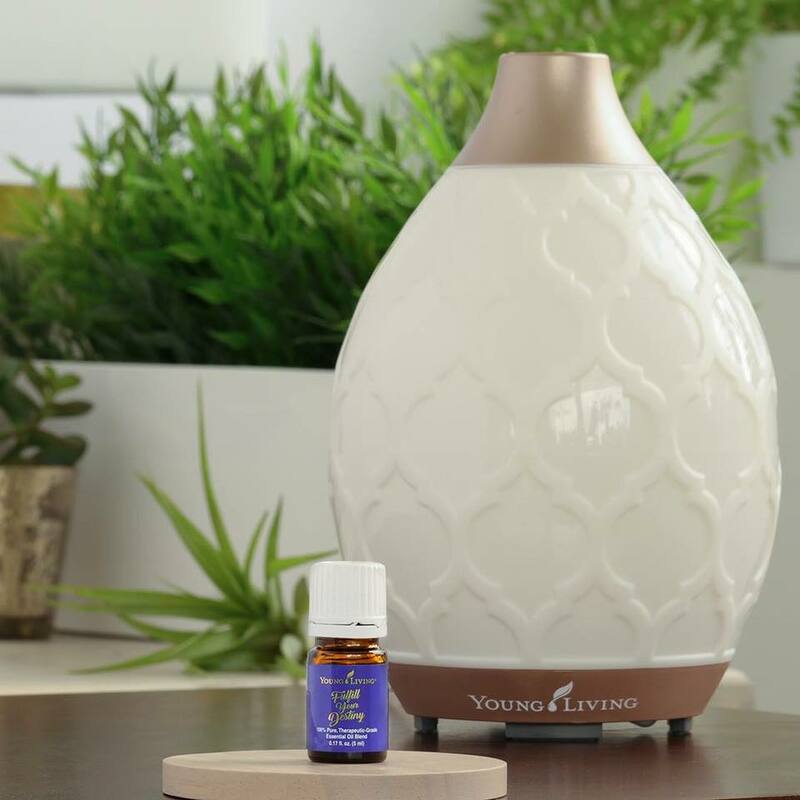 Fulfill Your Destiny essential oil blend: provides an empowering, clarifying, grounding aroma and an empowering atmosphere that encourages professional confidence and drive. May help soothe the appearance of healthy-looking skin. Desert Mist Ultrasonic Diffuser: (Item #21558) Designed to look like a beautiful and elegant vase. It has multiple settings: high runs approximately 5 hours continuously, low runs approximately 8 hours continuously, intermittent runs 1 min on/1 min off for approximately 10 hours. It has 11 different light settings that can be turned on or off independent of diffuser function. This diffuser includes a romantic candle-like flicker mode with a light cycle mode so colors transition gently from one to another. Savvy Minerals is a completely chemical free make-up line that you can actually feel good about putting on your skin! 100% Natural and chemical free, nanoparticle free, No fillers, Titanium Dioxide free minerals. 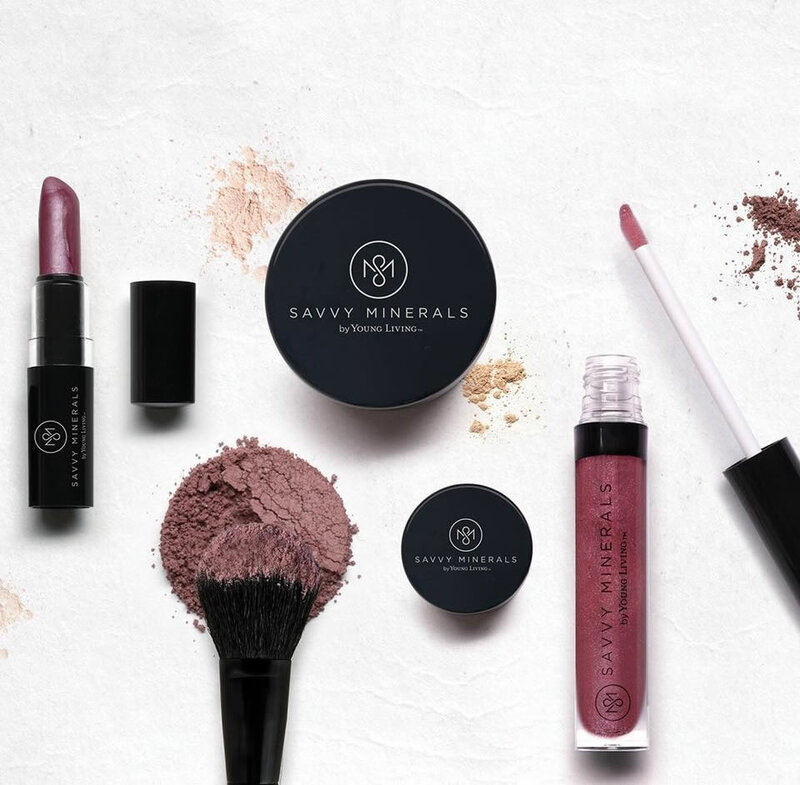 Savvy Minerals cosmetics are pigmented with naturally derived minerals that meet Young Living’s superior ingredient standards and provide gorgeous colors. The mineral powders are free from bismuth and talc, which are inexpensive, low quality and potentially skin-damaging fillers used by other mineral makeup brands. 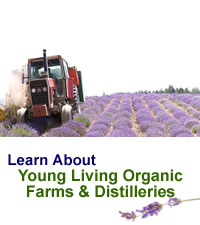 Like all Young Living products, Savvy Minerals was created with quality, purity and safety as the ultimate goal. As an ex cosmetologist, makeup is something I have always been into. I have used another brand of mineral makeup for years because I wanted chemical free makeup. This is the product line I am most excited about in this year’s convention releases. These are all must-haves for your chemical free makeup bag. Aminowise: Helps support muscles during and after exercise to fight fatigue and enhance recovery, reduces lactic acid formed by exercise, support hydration by replenishing important minerals, contains no added sugar or artificial sweeteners. Super Cal Plus: Calcium Supplement, a dual-action blend to support a healthy structural system through minerals and co-factors that support the structure, integrity, and density of the bones. Alkalime: Single Serving Sachets you can take on the go with you! 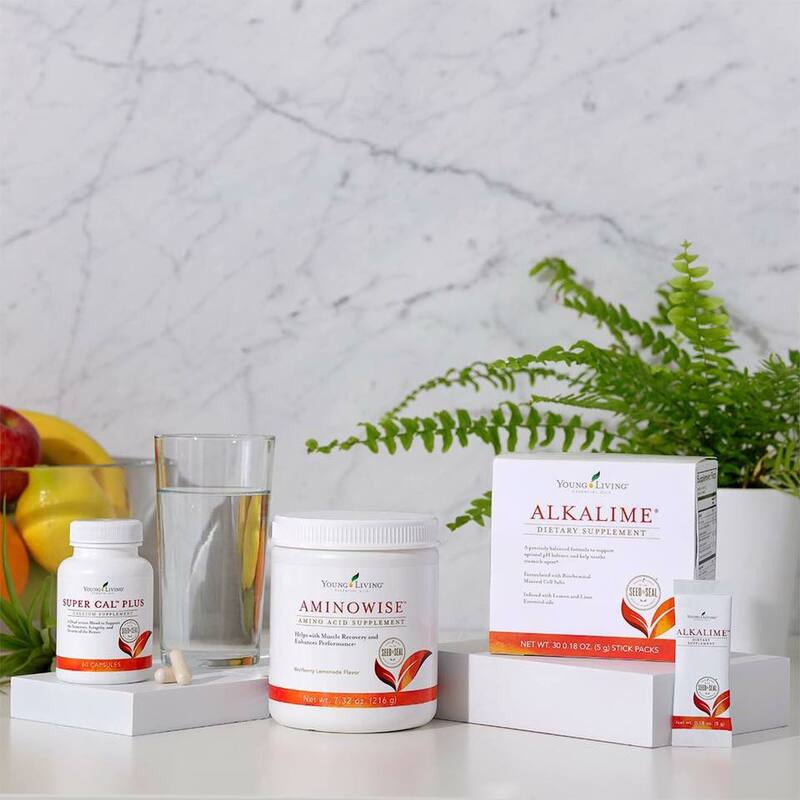 Alkalime is a precisely-balanced alkalime mineral complex formulated to neutralize acidity and maintain desirable pH levels in the body. Infused with lemon and lime essential oils and organic whole lemon powder, AlkaLime also features enhanced effervescence and biochemical cell salts for increased effectiveness. A balanced pH is thought to play an important role in maintaining overall health and vigor. The Seedlings Product Line was created to make it as easy as possible for parents to choose the right products for the littlest members of their family. Made with 100% naturally derived plant based ingredients. Free of harsh chemicals. Seedlings Diaper Rash Cream — Item #20398 Over The Counter (OTC), hypoallergenic, clinically tested for sensitivity, mineral based, no nanoparticles, promotes healthy skin, reduces redness, helps relieve diaper rash, reduces the duration and severity of diaper rash when applied at the first sign of redness. Seedlings Baby Wash and Shampoo — Item #20404 Leaves skin and hair clean, soft, and smooth, extra gentle, mild formula developed specifically for infants’ delicate skin, tear-free, 100% plant-based, naturally derived, ingredients, dermatologist tested and hypoallergenic, vegan friendly formula. Seedlings Baby Lotion — Item #20438 Prevents dryness by soothing and moisturizing skin, non-greasy formula that absorbs, made with plant-based, naturally derived ingredients, dermatologist tested and hypoallergenic, vegan friendly. Seedlings Baby Oil — #20373 dermatologist tested and hypoallergenic, mild, gentle formula developed specially for infants’ delicate skin, moisturizes, soothes, and nourishes skin, made with 100 percent plant-based, naturally derived ingredients. Seedlings Baby Wipes — Item #20428 Ultra soft and comfortable on infants’ delicate skin, soothing and non-drying, leaves skin moisturized, soft and smooth, dermatologist tested and hypoallergenic, vegan friendly. Seedlings Linen Spray (coming soon) — Adds a calming aroma to linens, refreshes crib sheets, blankets, car seats, clothing, carpet, and other fabrics, vegan friendly, made with 100% naturally derived ingredients, gentle enough for use around infants and breastfeeding mothers. 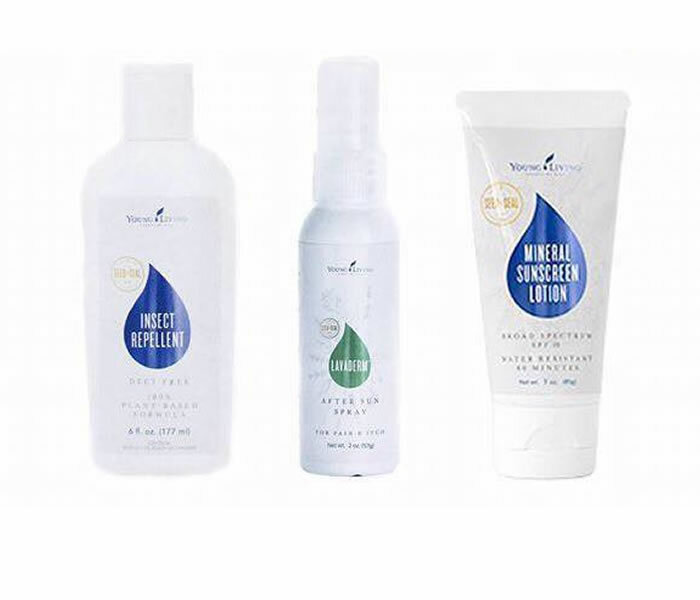 Mineral Sunscreen Lotion: Item #20701 Over the Counter, SPF 10, dermatologist approved, no nanoparticles, water resistant, harsh-chemical free, mineral based, sweat resistant, broad spectrum. The question most asked about the new sunscreen is “Why only 10 SPF?” Here’s how to answer. answer. It’s broad spectrum. New information is coming out about using too high of a block. We are now drastically D deficient because we are not allowing any sun in. We only need to reapply as needed based on the natural SPF of your own skin. It’s a different method of use. A better, more healthful method. Also there is no real evidence that higher SPF is more beneficial. Based on the Vitamin D issue, we are now seeing the negative effects of these “too high” SPF products. Insect Repellent: Item #20667 EPA approved, lab tested, hypoallergenic, DEET free, 100% plant-based formula, clinically tested for efficacy, proven efficacy against mosquitoes, shown to be 30% more efficacious than top selling natural insect repellent. Lavaderm After Sun Spray: Item #20683 Over the Counter (OTC), hypoallergenic, clinically tested for sensitivity, soothes and cools skin, aloe moisturizes skin, immediate relief from pain associated with sunburn, minor burns, scrapes, insect bites, and minor skin irritations.